Trains your waist with constant use. Keeps your back straight and protects it. Ideal for use in the gym and other fitness activities. Corrects posture, prevents herniated disc and or lumbar muscle sprains and lower back pain. 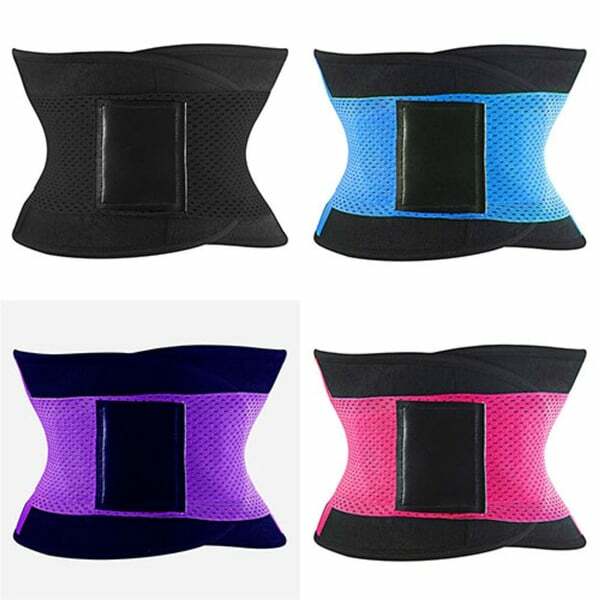 Provides preventative and theraputic support to avoid weightlifting related injuries while shaping controlling and reducing the waist and abdomen. It is not just designed for fitness activities, in fact this product is very well knows in Latin America by pageant coaches to shape models/pageant contestants waist, since like the latex cinchers this also makes you sweat and loose inches, and helps to shape your waist. Easily adjustable from low to high due to the elastic band to increase the compression while training, shaping and loosing inches.